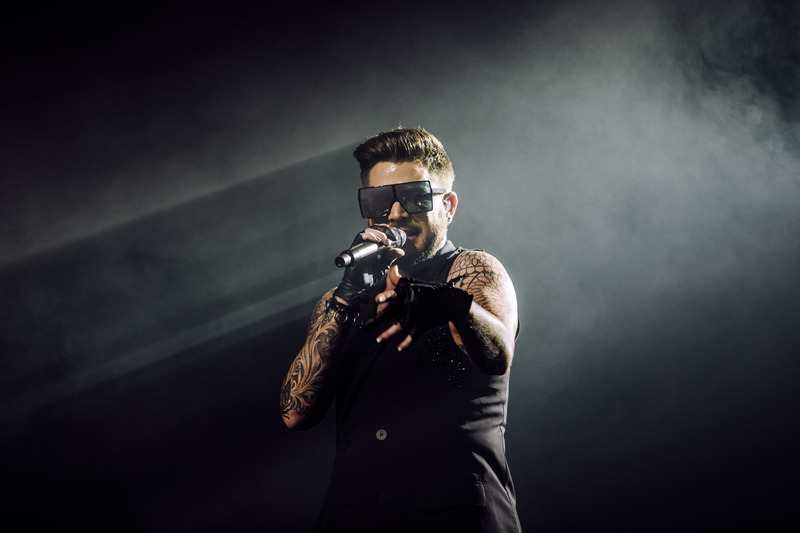 The air consisted of part excitement and part humidity as the crowd of people outside the Brisbane Entertainment Centre stretched long past the concrete structure and out into the surrounding wetlands. 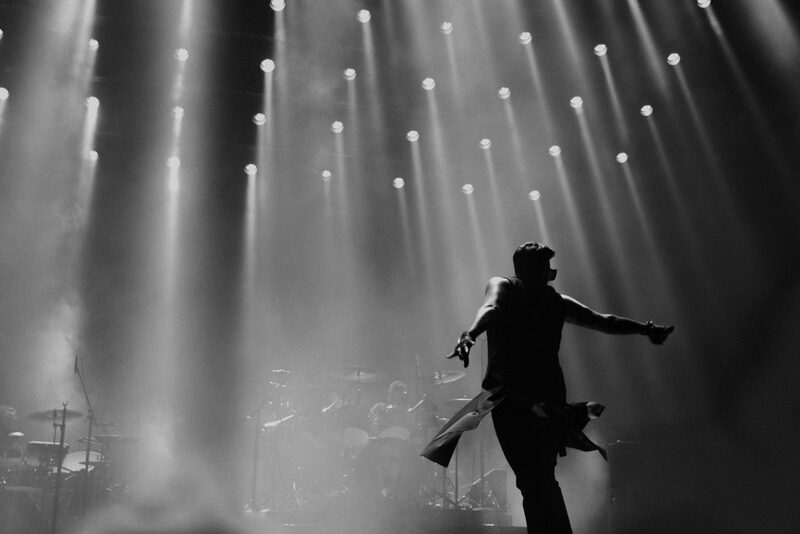 After waiting for what seemed like an eternity I made it through the gates and into the centre. 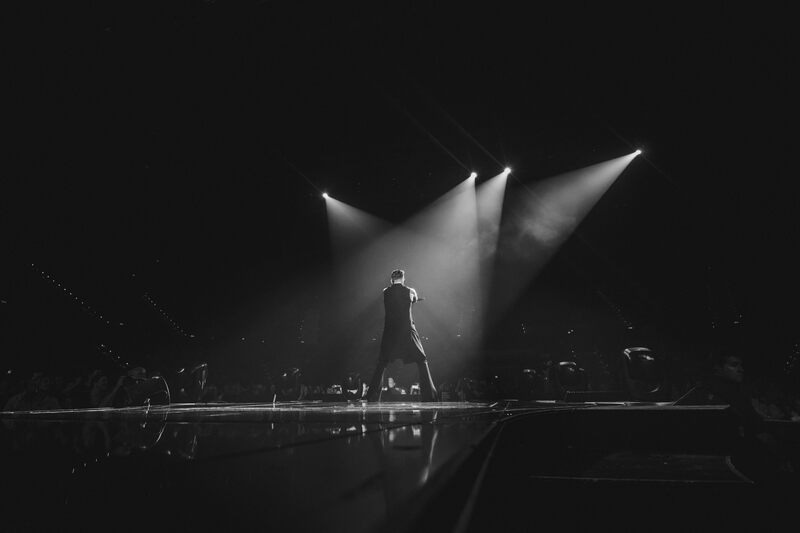 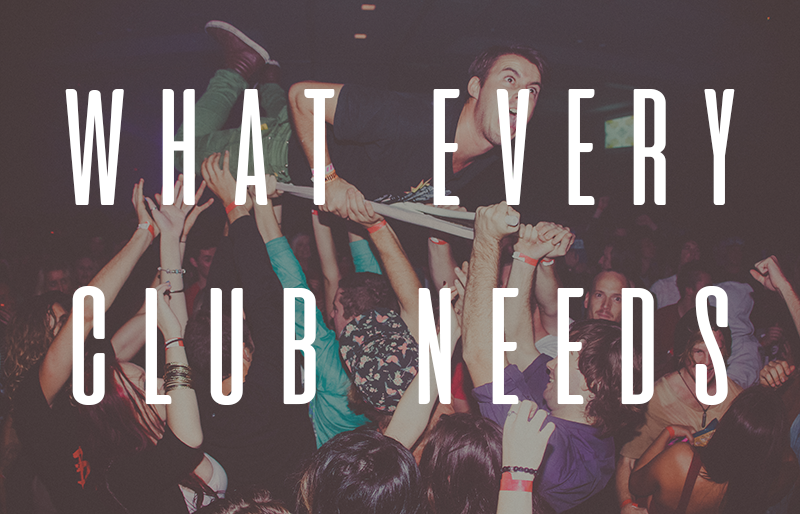 An exceptionally diverse crowd milled about, spilling all around the arena while we waited for the show to begin. 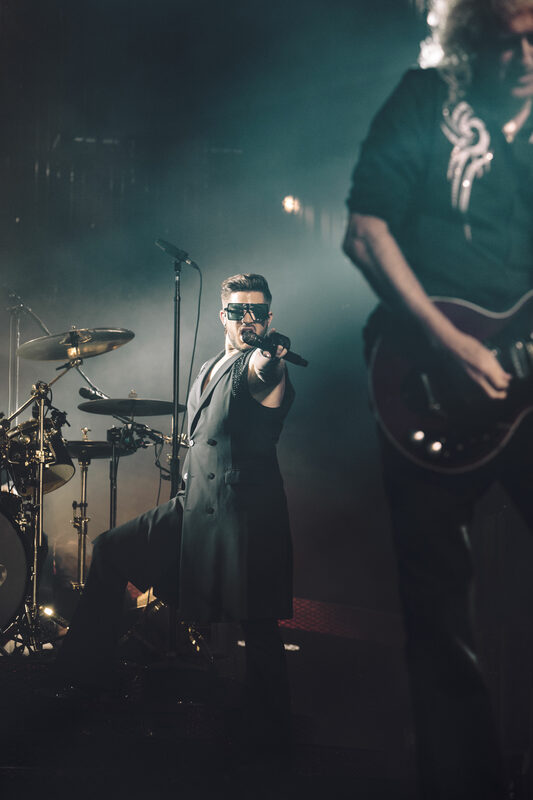 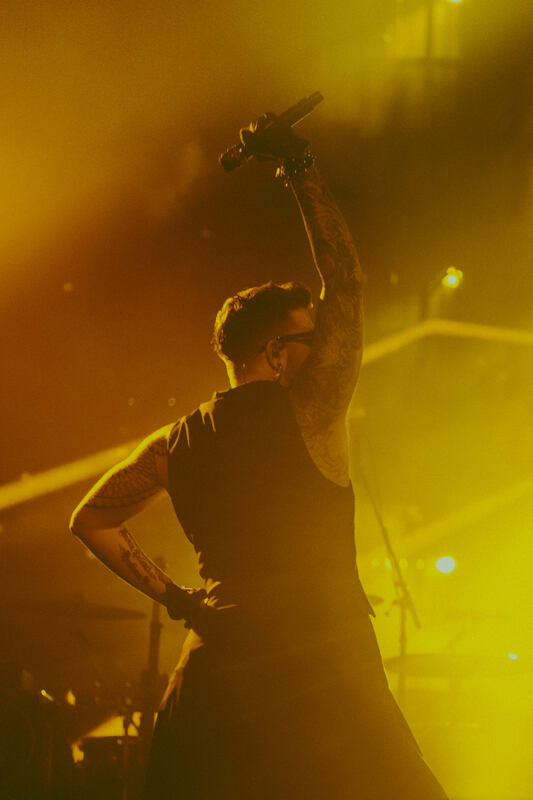 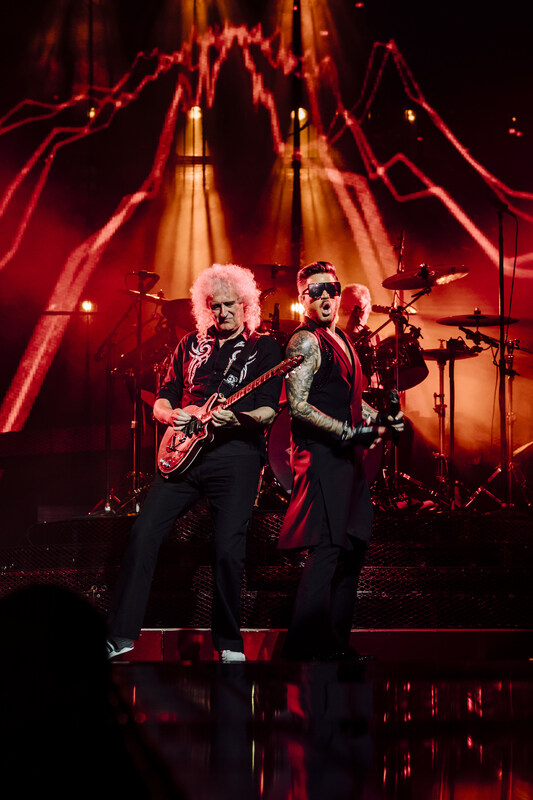 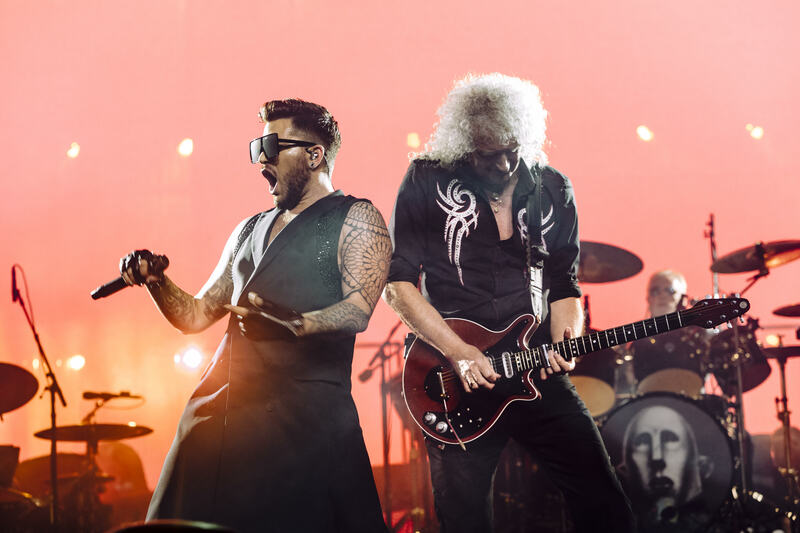 The ambitious Queen and Adam Lambert project took root almost a decade ago, when the legendary band performed with Lambert on American Idol back in 2009. 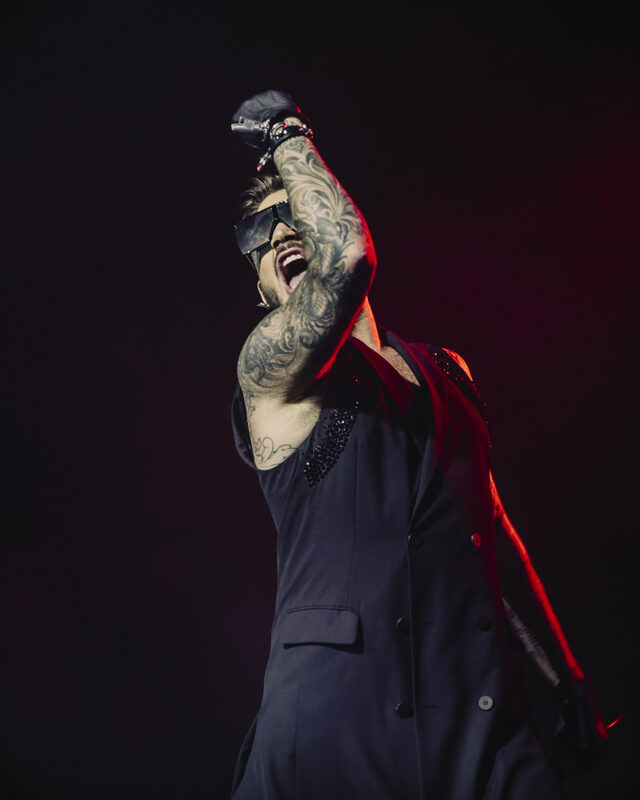 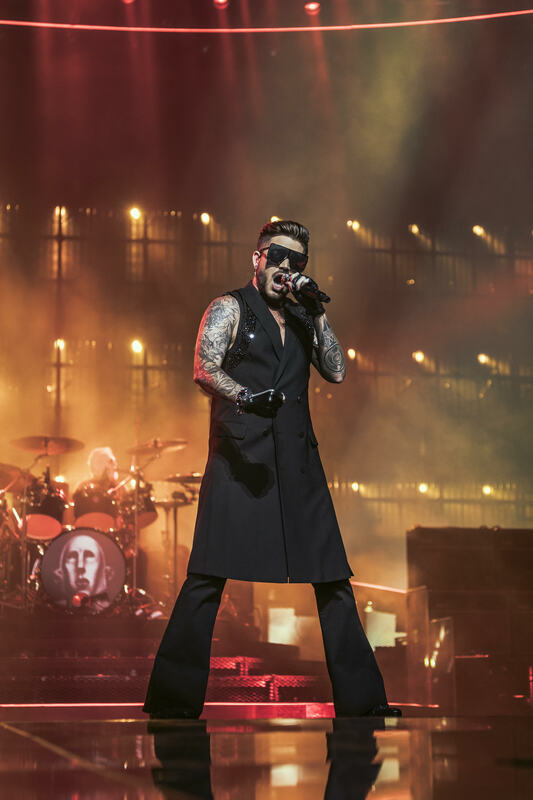 After the show wrapped up, lead guitarist Brian May told Rolling Stone that he was so impressed with Lambert’s performance that he was considering him as the new frontman for Queen. 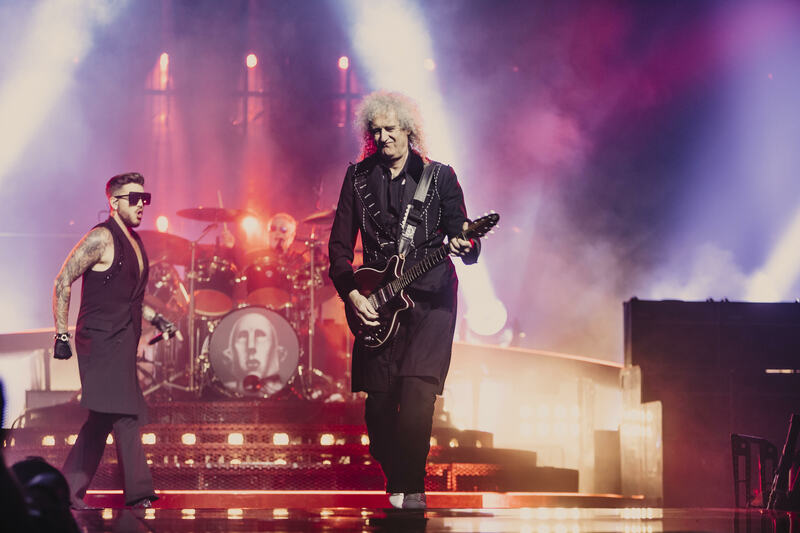 It wasn’t until about five years ago that the collaboration became official and they have been touring together since. 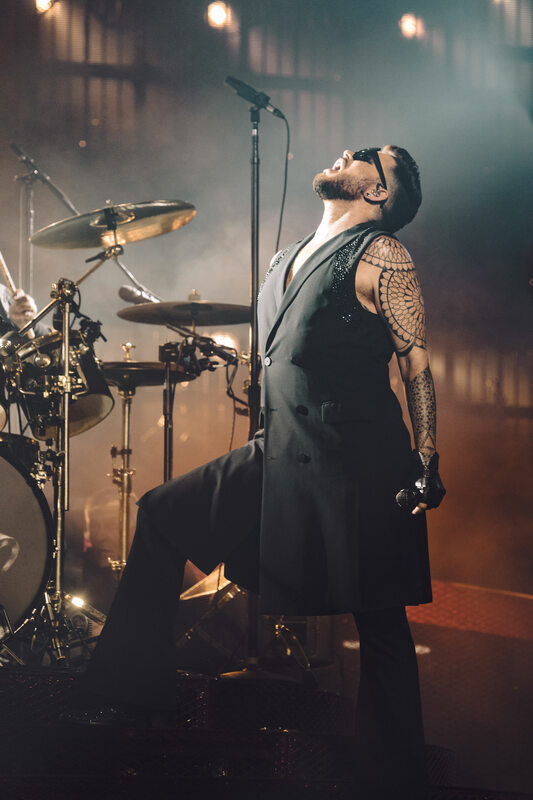 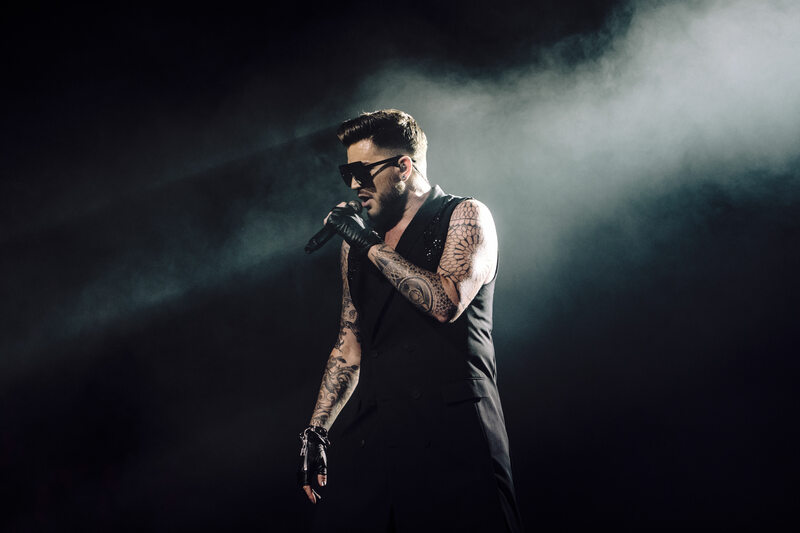 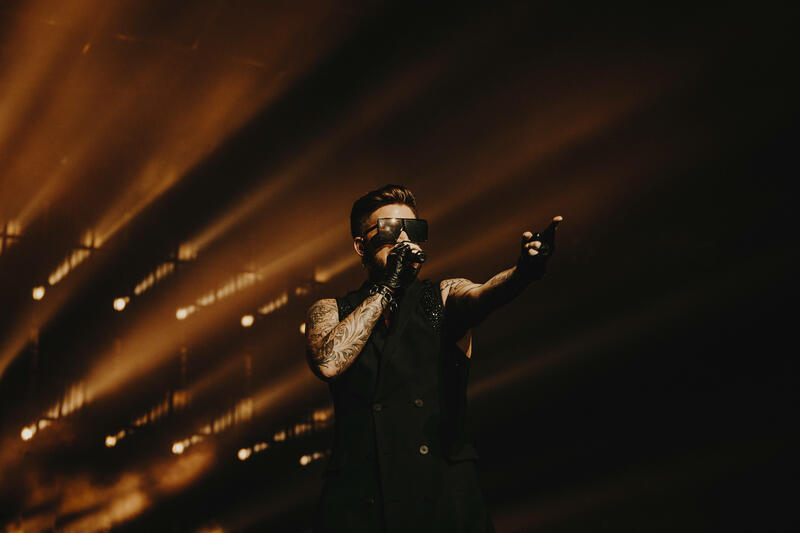 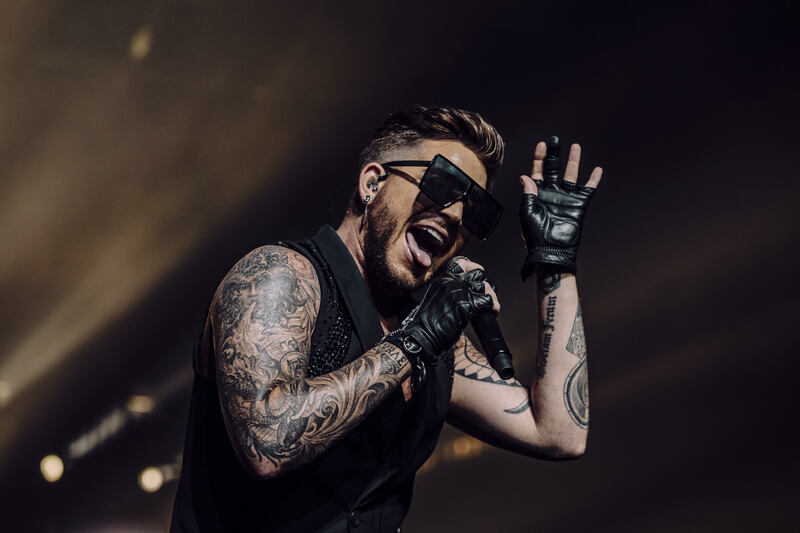 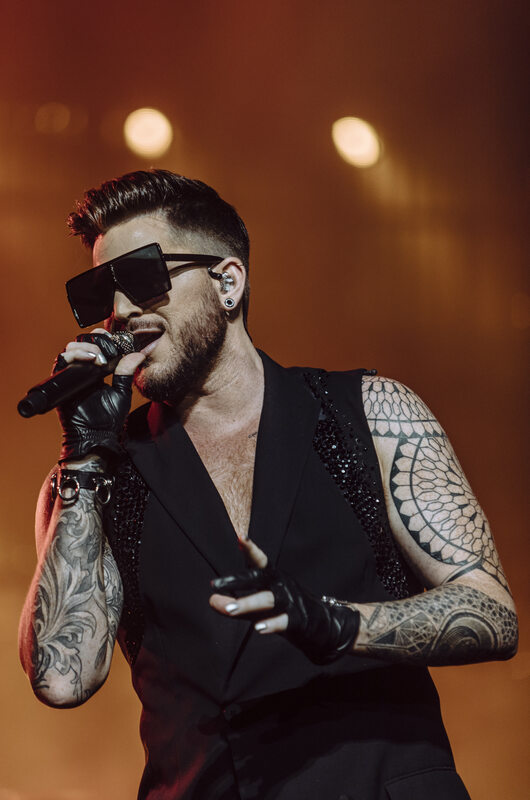 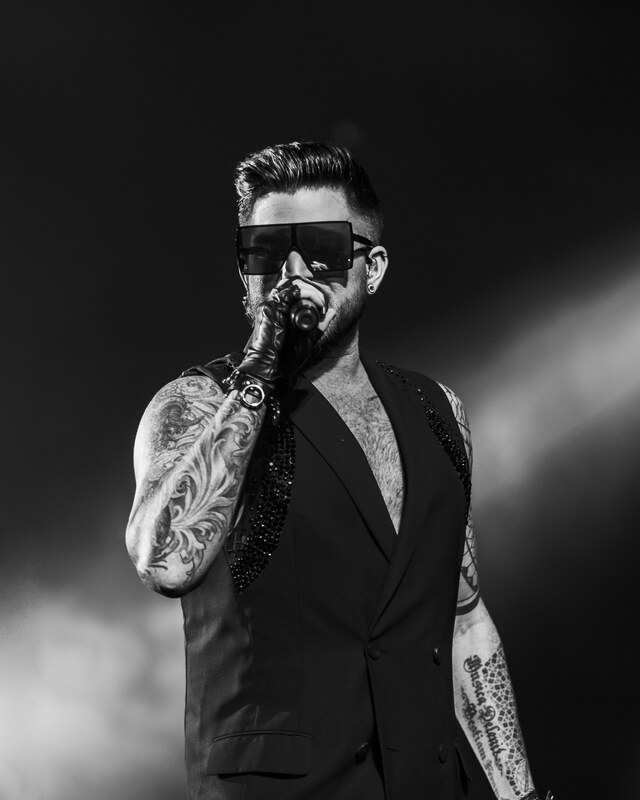 Whilst one may have doubts that resurrecting a legendary band such as Queen with an American idol runner up may be risky business; rest assured that Adam Lambert fits in perfectly. 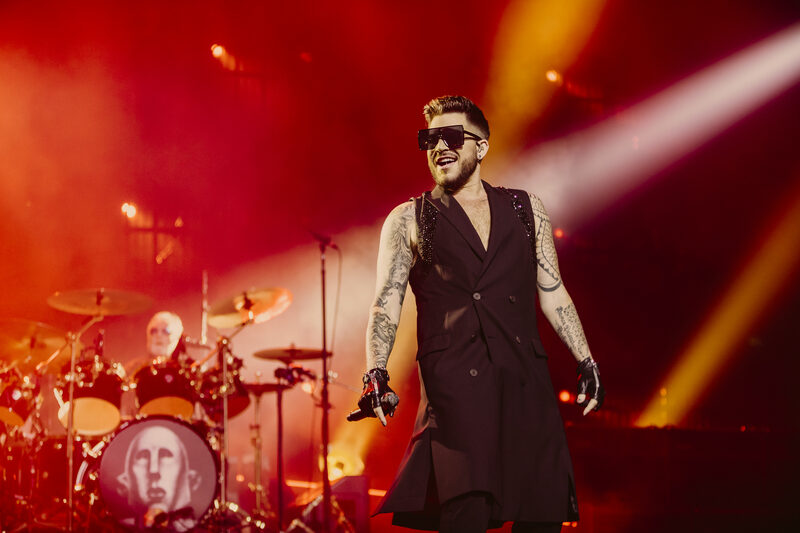 The chemistry between Lambert and the band is immediately apparent and each song is sharp and delivered in such a beautifully flawless manner that left me hoping for an eternal partnership between the two. 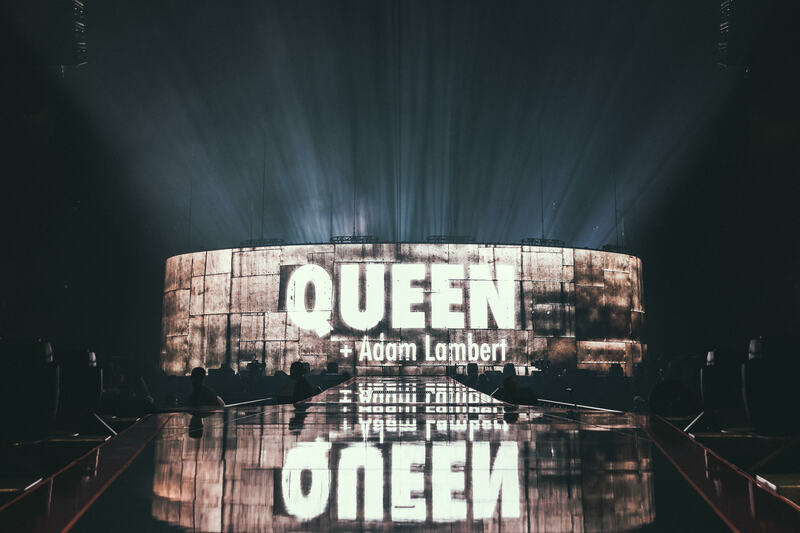 The show began with a giant robot lifting up part of the stage, revealing Lambert and the band who sung the chorus from We Will Rock You as a taster before transitioning into Hammer To Fall, Stone Cold Crazy and Tie Your Mother Down, Lambert finishing the latter with a vocally impressive sustained high note which made the crowd go wild. 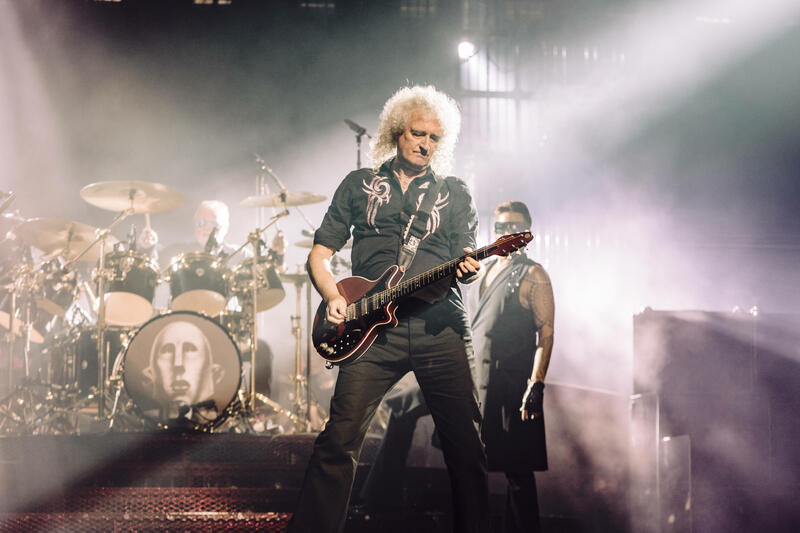 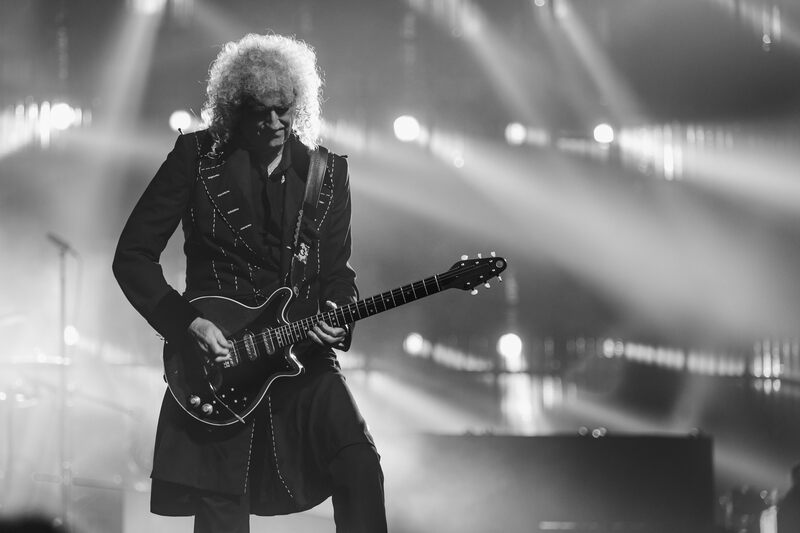 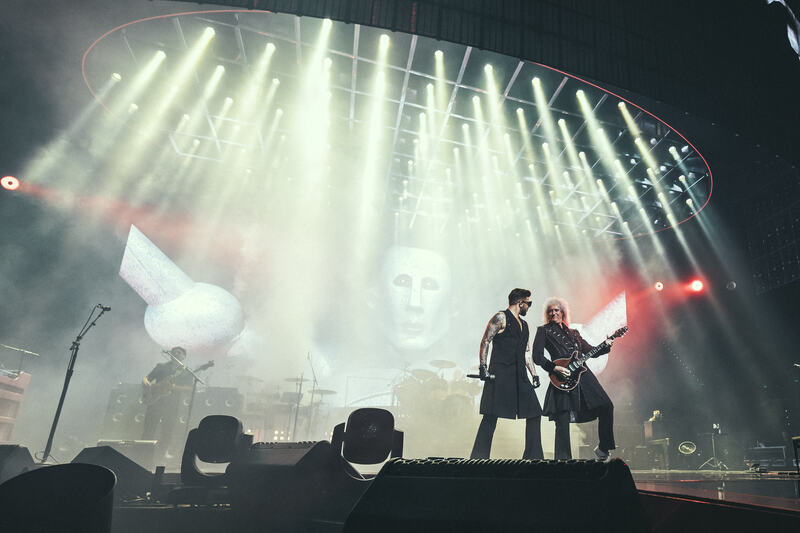 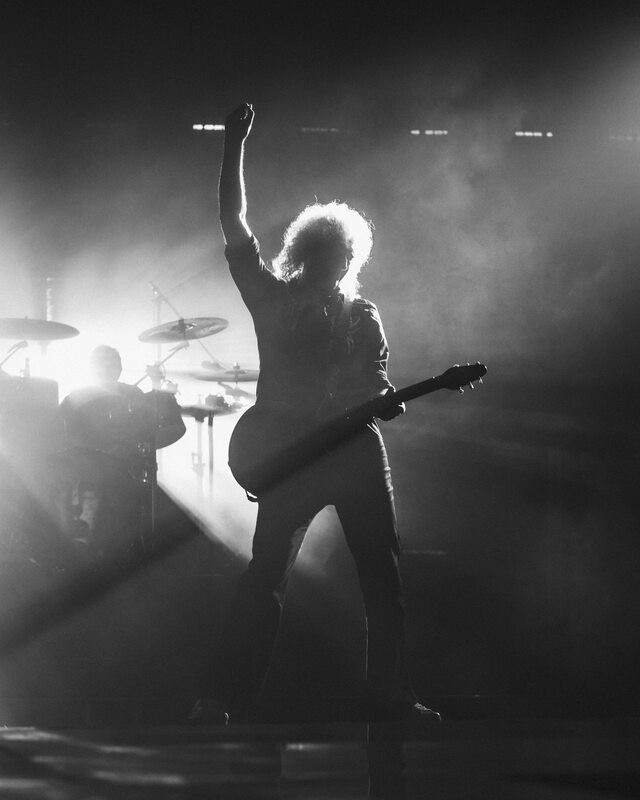 The visuals and lighting were paired beautifully with the guitar expertise of Brian May as well as Lambert’s unwavering confidence and stage presence; which definitely drew some parallels to the late Freddie Mercury. 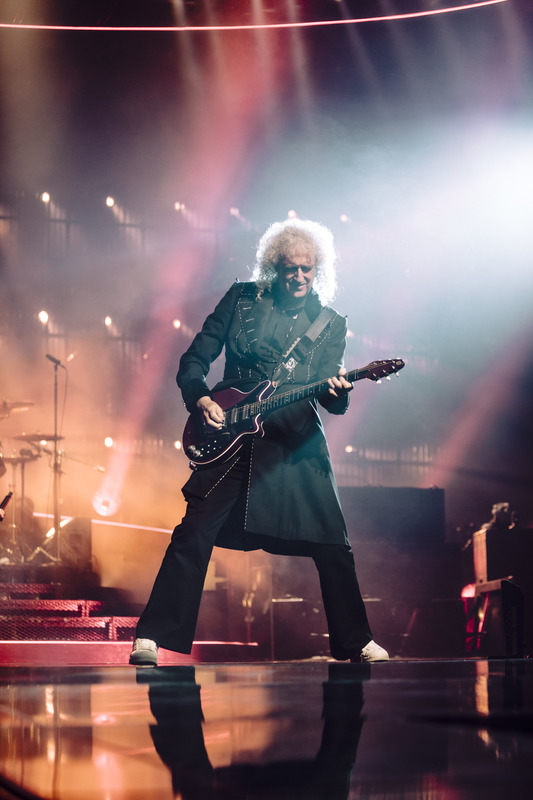 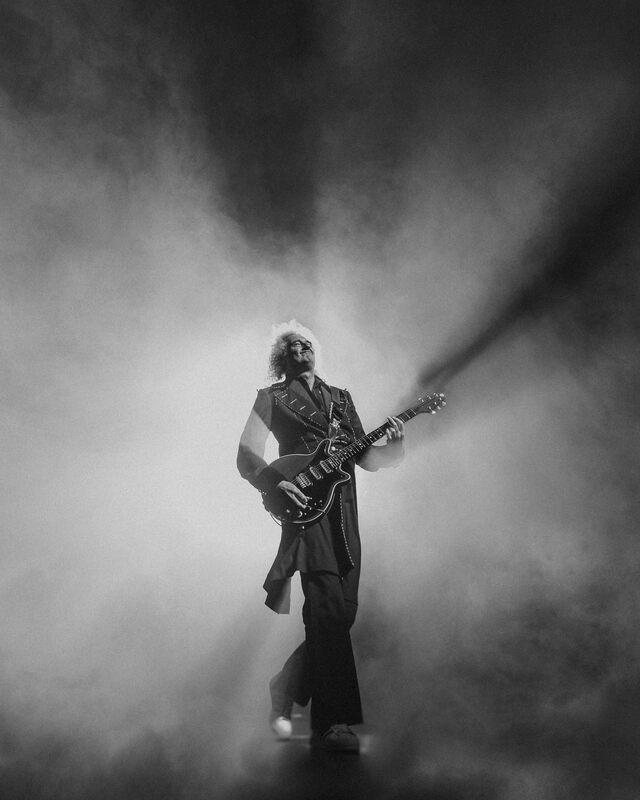 May’s chugging guitar riffs and mesmerising solos continued through Another One Bites the Dust, Fat Bottom Girls and Killer Queen which saw Lambert rise from below the stage dressed in a pink three piece suit on the head of the robot, which he later named Frank. 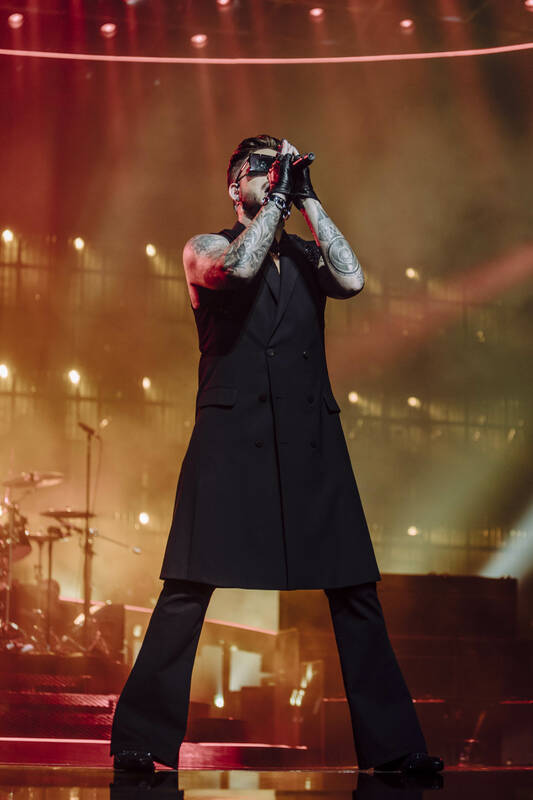 Lambert then addressed any critics by stating that there will never be another Freddie but that he hoped that he could celebrate his life with the audience. 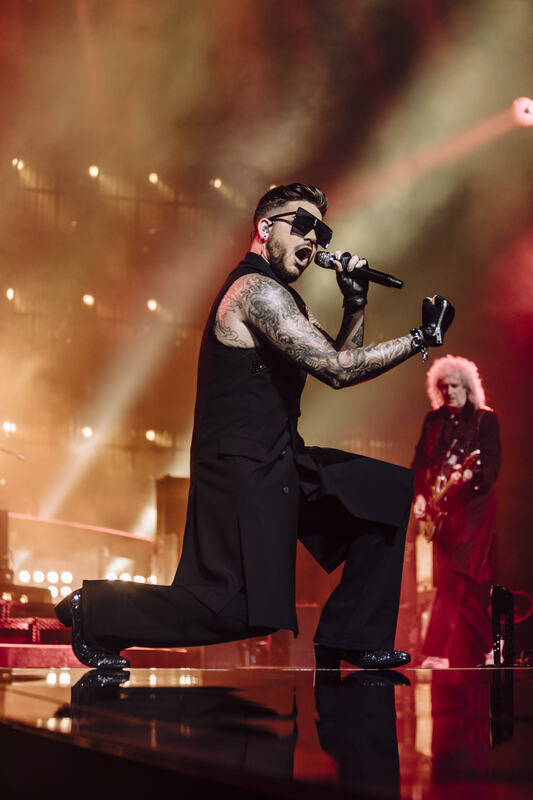 This was immediately followed by a masterful performance of Don’t Stop Me Now and I Want to Ride My Bicycle which funnily enough featured Lambert riding around on a tricycle with a basket of roses which he then threw into the audience. 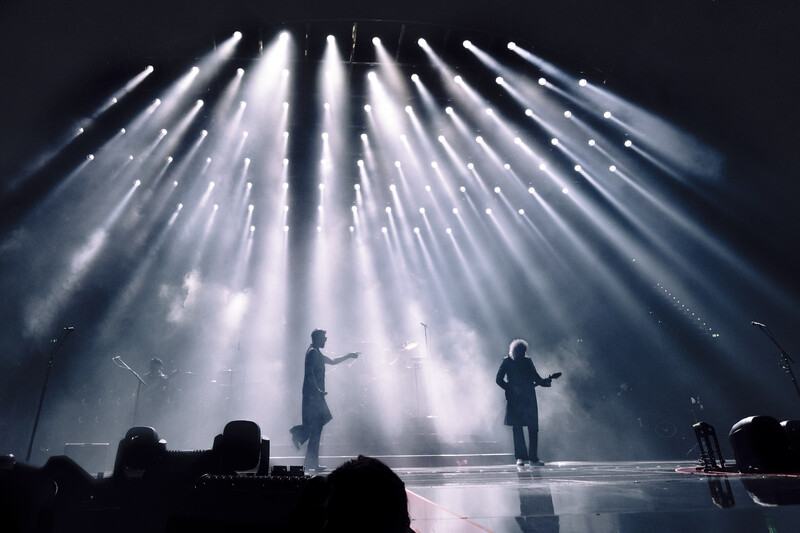 There was plenty of time for other members of the band to shine with drummer Roger Taylor taking centre stage to sing I’m In Love With My Car all while the band performed knee deep in rolling stage smoke. 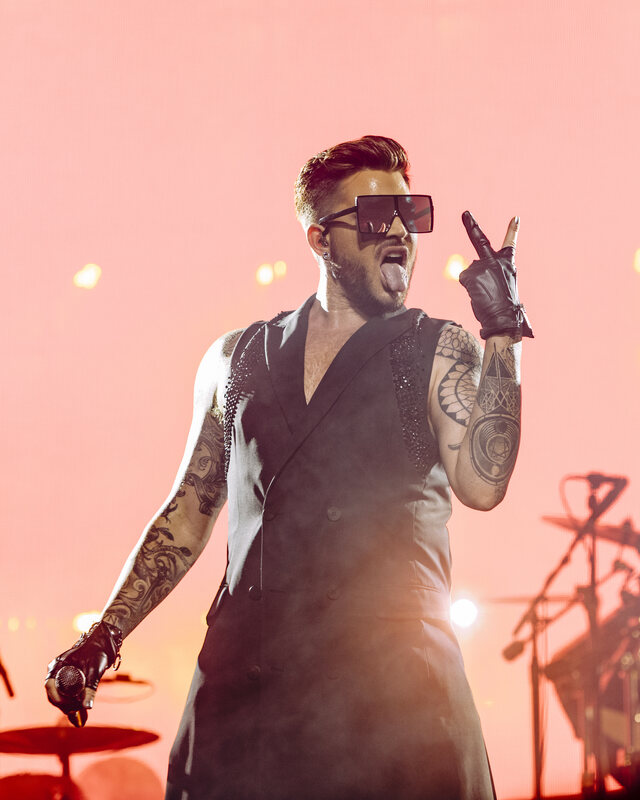 After Lambert returned to the stage to sing Get Down Make Love and I Want It All the band disappeared. 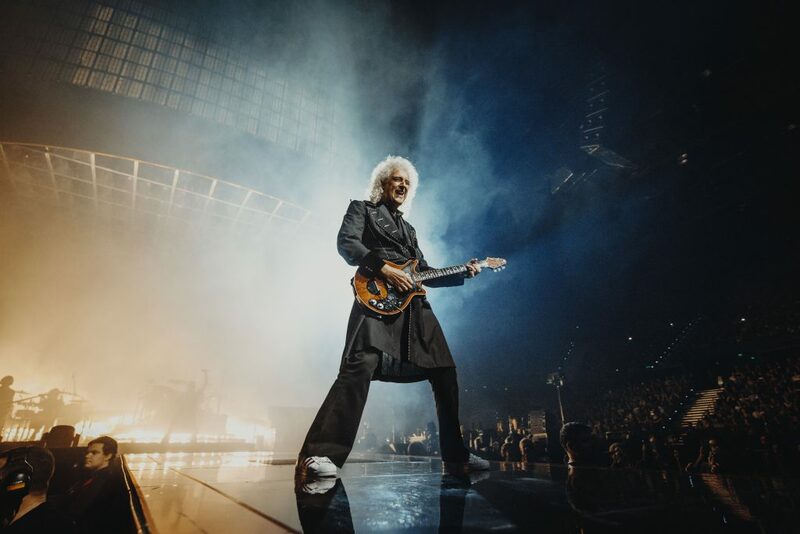 There wasn’t a dry eye in the house as Brian May reappeared solo to perform an emotional Love of My Life as a semi-holographic Freddie Mercury materialised above the stage to sing along. 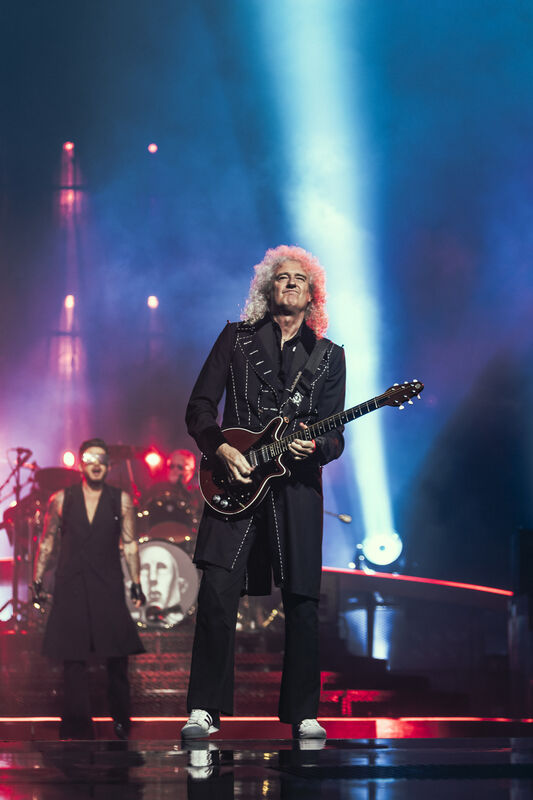 Brian May appeared again later to play one of his own songs, Last Horizon, a fantastic cosmic journey of sounds accompanied by visuals of distant planets all while May’s delay pedal gave the impression of dozens of guitarists on stage. 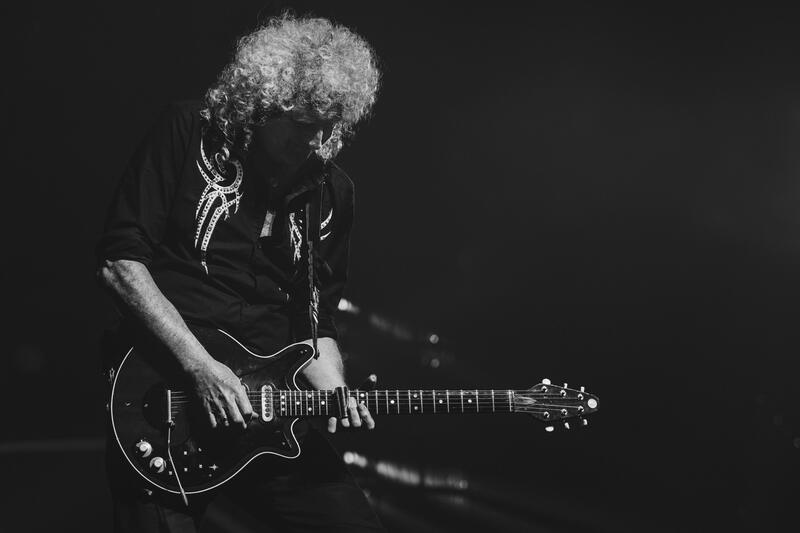 It was truly marvelous and really cemented Brian May’s position in my book as one of the greatest guitarists of all time. Adam Lambert appeared on a podium shrouded in smoke for the finale, Bohemian Rhapsody. 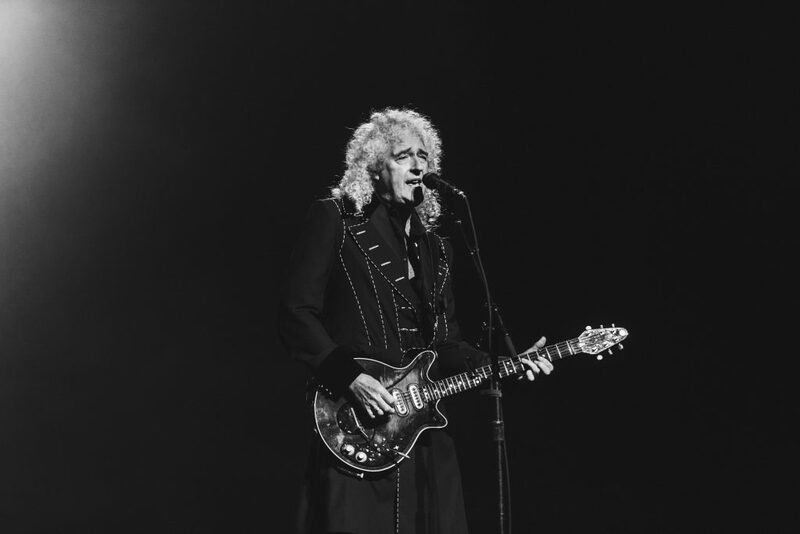 Brian May rose from the stage in a glistening black robe and literally played his heart out whilst the crowd got on their feet and sang along. 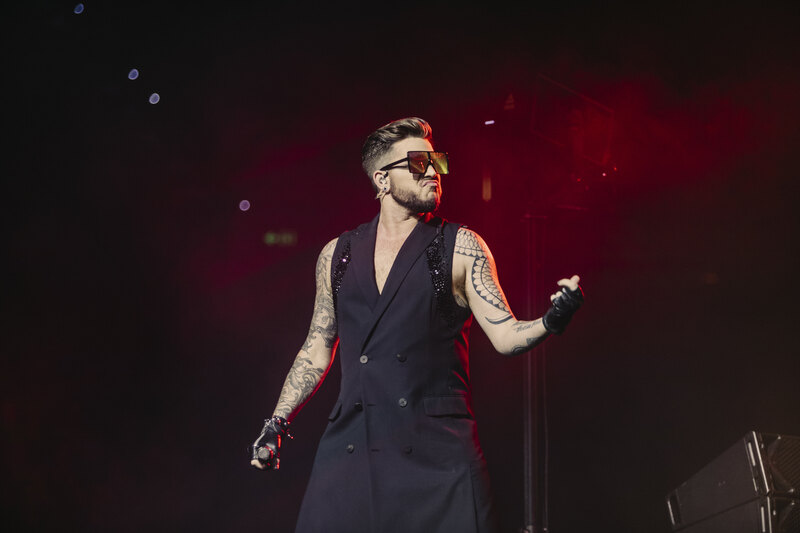 Adam Lambert thanked Brisbane and the band left the stage. 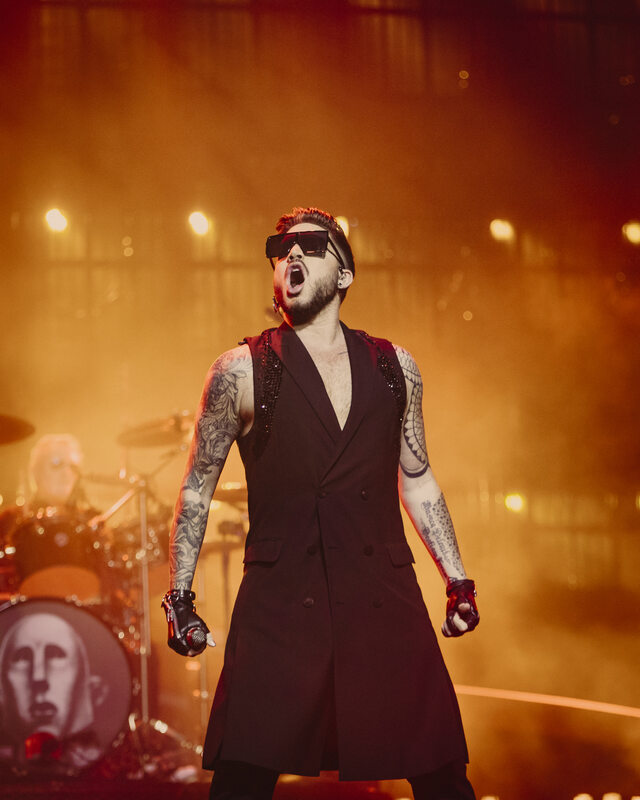 After the stamping of feet and the crowd yelling for an encore, the band returned once again, with Lambert dressed quite literally as a Queen, complete with a crown and golden robe, delivering the coup d’etat with We Will Rock You and We Are The Champions.